CAD-CAM software should be customizable to a degree so that the user/operator can create toolbars for features that are frequently used. This makes the CAD-CAM software even more efficient and user friendly for CNC programming. Anything that allows you to get on with machining and increases productivity is worth a good look. When it comes to the BobCAD-CAM v27 drawing environment we offer many default settings allowing you to customize the your drawing view and many additional key settings such as units, display colors, system tolerance settings and more. 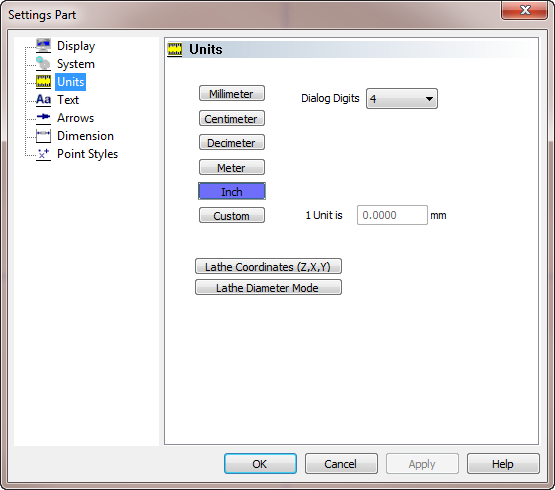 A popular support question we receive has to do with how to put the software into metric mode. These setting and others can be made directly through the “Preferences” menu. To make changes to your default settings go to the preference drop down menu found across the top of the screen. From there you will see a few options to customize the software toolbars and commands, create shortcut keys and modify the general settings for the part you are working with or for the software globally. Once again, you can customize your tool bars, edit your short cuts, edit your part settings or define your default settings easily within the BobCAD-CAM software. In this example we want to take a look at your default settings and show you how to change the unit value. All the changes you make to your default will affect future files, but not the file you are working on. If you need to make changes to the file you are working on, you would work with “Settings Part”. Click on “Preferences” and then choose Settings Part. The Settings Part box will appear. From there, click the “Units” tab on the left in the box. 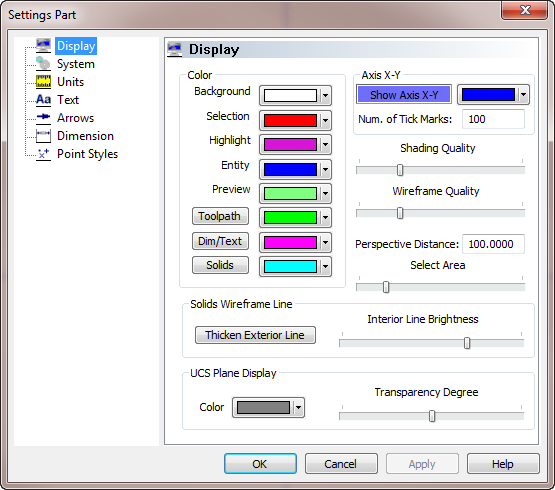 As you can see with the setting window you have lots of options and settings to define your drawing environment. Set your back round color, selection color, wire frame colors solid color and more by clicking the “Display” tab. You get the idea. Also if you want to change your CAD or CAM tolerances you can do so through the “System” tab. When you are finished, click APPLY and OK. It’s as simple as that. For more information on BobCAD-CAM software contact us directly at 727-442-3554 or 877-262-2237. 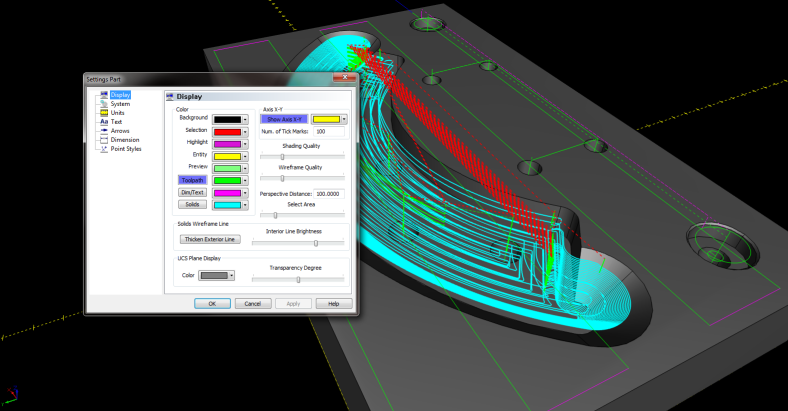 CAD-CAM software as a CNC productivity utility should allow the user/operator to customize the look and feel of the software as well as basic functionality in how the software supports efficiency and streamlining manufacturing.